Whatever the occasion Balla Florists have an unrivalled reputation for offering the very highest standards for both quality and service. In choosing to order your flowers from Balla Florists you can be totally confident that your chosen item will be individually created by one of our highly experienced and creative florists, and that your gift will be hand-delivered to the chosen recipient. Our florists work to the highest professional standards, using only the finest and freshest materials available. Our flower shop on the Main Street in Balla, Co Mayo, is adjacent to Kiltimagh, Castlebar and Claremorris and therefore we are able to offer a reliable delivery service. 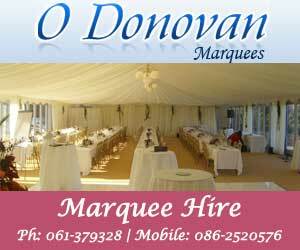 We are also only a 10 minute drive from Mayo General Hospital and local nursing homes. We provide a comprehensive wedding flowers service including bridal flowers, church flowers, Lantern Hire, floral/candle table centres and cater for flowers for events and functions both private and corporate. For all your flower needs, call us today - our friendly staff are always on hand to help and advise you. We import all our flowers direct from Holland , so the best flowers and highest quality is always guaranteed. Our extensive floral portfolio contains both traditional and more contemporary designs. Also in stock we have a wide range of beautiful gifts, including plants, soft toys, fruit hampers, baby goodies hampers, wine, champagne, chocolates and balloons to compliment that special arrangement. Whatever the occasion our qualified professional staff will create a beautifully crafted arrangement to suit your needs. Once you have made your selection, we can deliver your flowers throughout County Mayo and we can deliver flowers to the rest of Ireland and the World via eFlorists (formally Teleflorists). For all your Flower needs, call us today - our friendly staff are always on hand to help and advise you. Planning Your special Day? Add design, beauty and impact to your wedding. 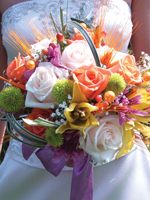 Balla Florists are a professional florist who assist you with an individual consultation and provide fabulous wedding flowers designed to suit your own budget. Balla Florists is one of Mayo's most creative and experienced wedding florists having completed over 1000 Weddings to date! Contemporary or modern tastes are catered for and Judi can always like to deliver something different. Your initial consultations are all about finding the right style for your Wedding. We will try to interpret your ideas and work within your budget to create the Wedding Flowers of your dreams. We will be able to help you select the most appropriate flowers to complement your colour scheme, the style of your wedding and the Wedding Venue. "i need bridal flowers in balla i want a wedding florist in mayo i want a specalist wedding florist in mayo i need a luxury bridal bouquet in mayo number 1 florist in mayo"